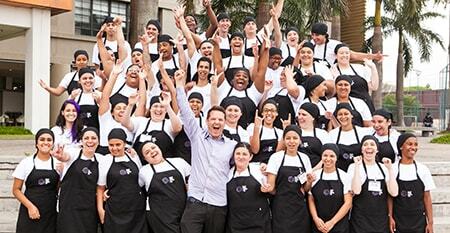 More than 5,000 students trained and referred to the job market. Contribute to the expansion of Social Gastronomy in the world. Experience the solidarity dinners at Refettorio Gastromotiva. Founded in 2006 by chef and social entrepreneur David Hertz, Gastromotiva is co-creator of the Social Gastronomy Movement (SGM).This global initiative attracts people, projects, companies, universities, international agencies, governments and civil society around the transformative power of food. Hunger, wastage, lack of opportunity, obesity and malnutrition are global challenges that require joint action. Based on the experience accumulated over more than a decade, Gastromotiva’s social impact in Brazil, Mexico, South Africa and El Salvador continues to transform lives and increasingly extends its vision in cooperation with the UN’s Sustainable Development Goals. 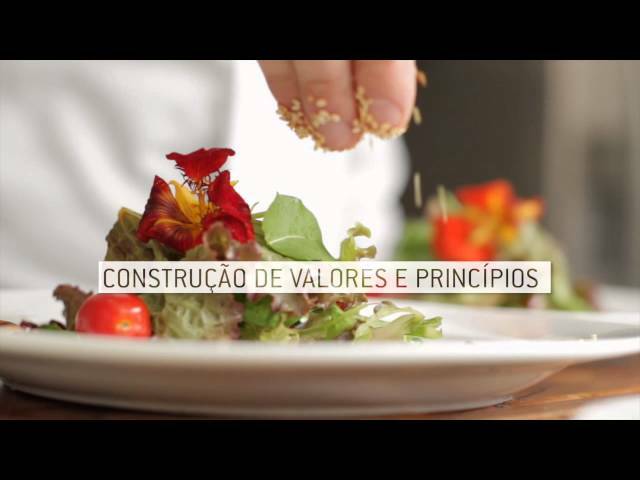 Restaurant-School in Rio de Janeiro that fights against waste and offers daily Solidarity Dinners to homeless.